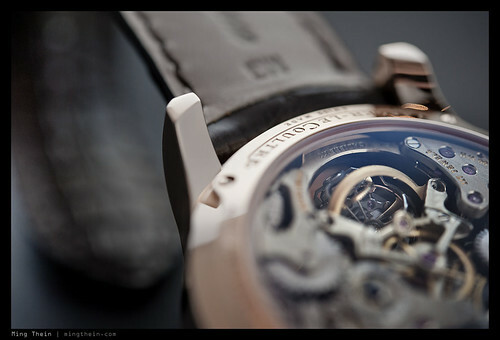 It seems like I’m on a roll with rare Jaeger-LeCoultre pieces of late: hot off the camera is a set of the magnificent Gyrotourbillon 1 (we did a review of the Gyrotourbillon 2 as well). 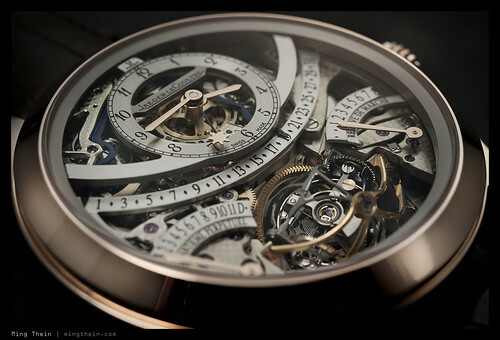 This version has a skeleton ‘dial’; a massive rose gold case, perpetual calendar, and of course, the signature multi-axis tourbillon – all made up of 679 parts, 117 alone of which are jewel bearings. 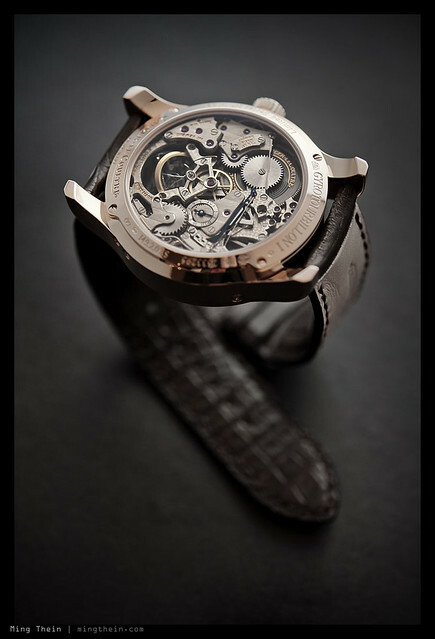 It also runs for slightly over eight days, powered by two vertically stacked and sapphire-topped barrels – which is a nice touch, but I’m not sure why you’d need to see the state of wind if you’ve got a power reserve indicator on the front. 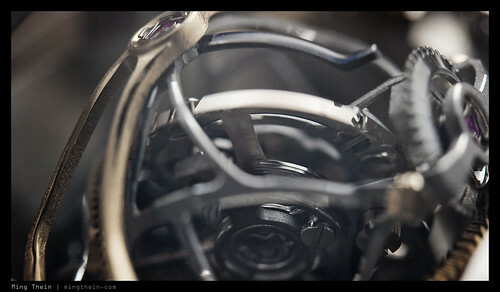 This is especially impressive considering the amount of torque required to turn the double tourbillon cages. Aesthetically, the best side is the front – although of course there’s absolutely nothing wrong with the back, of course! But all the same it’s nice to have a piece whose complexity is there to appreciate without having to take it off. Datograph, I’m looking at you. 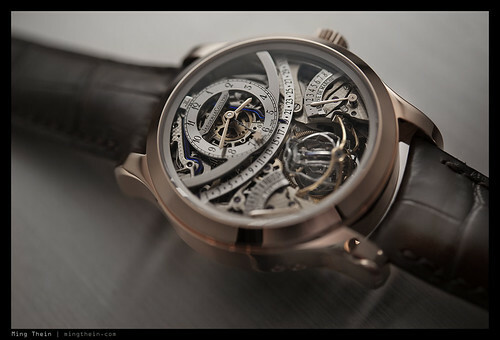 The perpetual calendar is a triple retrograde implementation, but with a twist: the month is on a scale next to the tourbillon cage and mirroring the power reserve indicator; however, the date is on a scale which divides the watch into two vertically, and sits on a slightly lower level than the timekeeping dial. 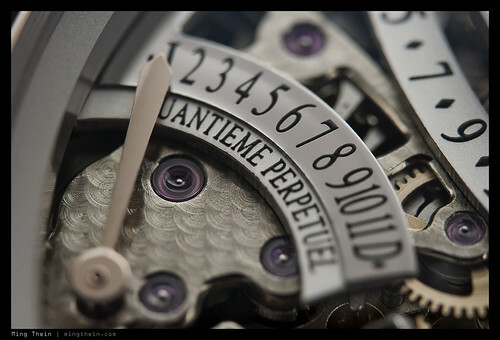 What’s more interesting is that the date indicator hand swings from an arc whose pivot point is at the top of the watch in the 12 o’clock position – this is accomplished by means of a split indicator that actually has two hands, one of which takes over on the 17th of the month for the second half of the scale. Neat. 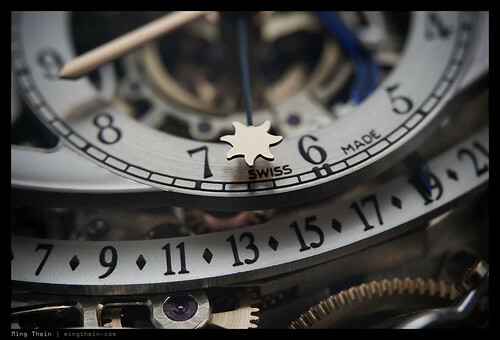 I also love the little touch of whimsy offered by the ‘sun hand’, which is an equation of time indicator – of course customized to the latitude of the city desired. The leap year indicator is on the rear of the watch – sensible, as there’s nowhere to put it on the front that wouldn’t disrupt the balance of the dial, and it’s not something you’d refer to that often, anyway. Do we need to talk about finishing? Not really, with a piece like this – it’s as you’d expect. My only preference would be to have applied markers on the time dial, rather than printed numbers – I’m just not a big fan of the font used. Otherwise, it’s actually surprisingly legible for something so complicated (and skeletonized). I also really like the previous semi-translucent sapphire dial; it would be nice for a future edition if JLC would apply that finish to the entire dial of the watch. I’ve saved the best for last. 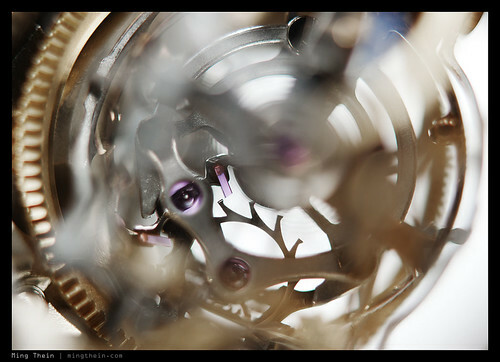 I spent a lot of time just staring at the motion of the tourbillon – it’s utterly mesmerizing and amazing when viewed through the viewfinder of a camera at such high magnification that the cage occupies the entire frame. 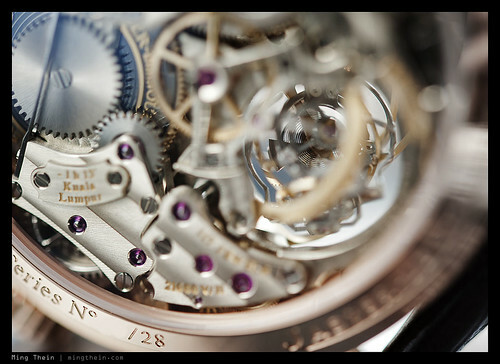 It’s also hugely challenging to shoot, because by design the cage will take a very long time before it passes the same orientation again, and there’s no way of hacking the movement – understandable given the nature of the escapement. 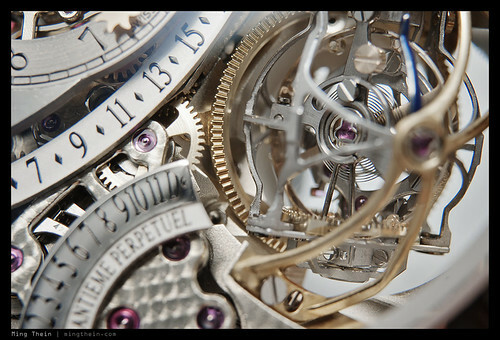 Make sure to follow Jaeger-LeCoultre via Facebook and Twitter.